Austral Risk Services are trusted risk advisors and insurance brokers for Australian business. For professional, friendly and personal service, call Austral today. We are Australian business insurance brokers based in Melbourne and Perth. Austral works with large companies, medium-sized businesses, and SME's. We offer you a tailored, risk approach to your corporate and business insurance. Our highly experienced insurance brokers help you with all your insurance needs including workers' compensation, public and product liability insurance and management liability. We also offer risk management consulting with a suite of risk management offerings from our highly experienced risk consulting team. We can help you address your risks such as cyber risk including cyber insurance, political risk and Board risk. In fact we have a white paper series on risk management designed especially for CEO's and CFO's - Download our Risk Management Executive Series here. At Austral Risk Services, our aim is to build strength and resilience into your organisation. Call Austral today to discuss your risk management and business insurance needs. • Do you know what your business risks are? • Can you manage the risks in your business better? • Do you have the right business insurance in place? Written for SME businesses, this is a guide for understanding the risks in your business. The Olympics are just days away and we're all excited. 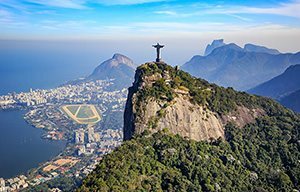 Eddy discusses the risks faced by the IOC and everyone travelling to Rio. 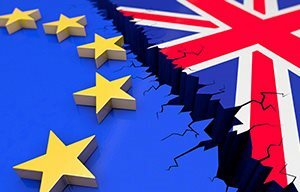 What does Brexit mean for your business insurance? Here's some insight from Eddy Brett.